Home > Did you know one out of five people has a disability? What do a water fountain, grass, and an old journal have in common? They all represent important vocabulary words in a new lesson from the Office of Education Ombuds (OEO) about Disability History Month, which happens in October. During the most recent Ready WA coalition meeting, participants engaged in the lesson that tied these vocabulary words together with activities and teachings about disability history in Washington state. The lesson is part of the One Out of Five Project that OEO has developed to “celebrate the history and identities” of the large and diverse community of people in the country who have disabilities. The Project contains five lessons in its learning resources, as well as two student videos and an accompanying discussion guide. 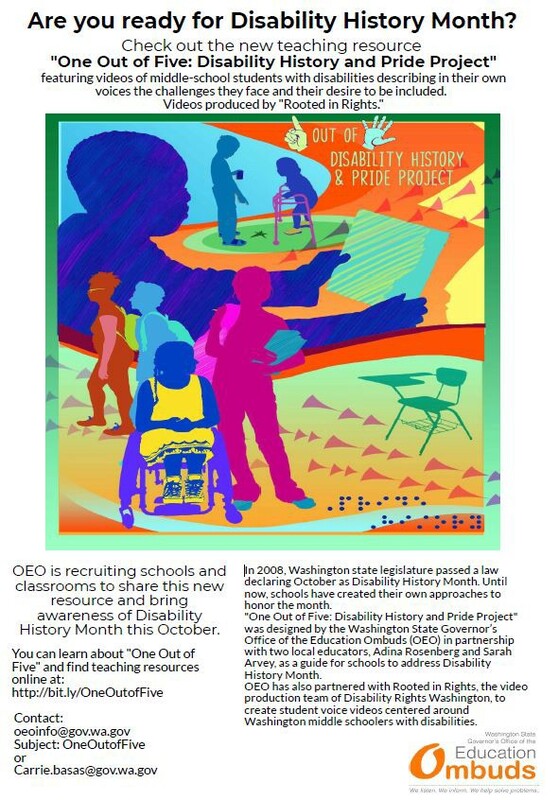 The Project is intended to support Washington schools, which were directed by the legislature in 2008 to celebrate disability history and awareness every October. Ready WA invited OEO to present the lesson because of the opportunity gap that students with disabilities face in Washington. For example, for students with disabilities, the high school graduation rate is 59 percent (the state average is 79 percent). And more than 56 percent of working-aged people with disabilities in Washington are not in the workforce. 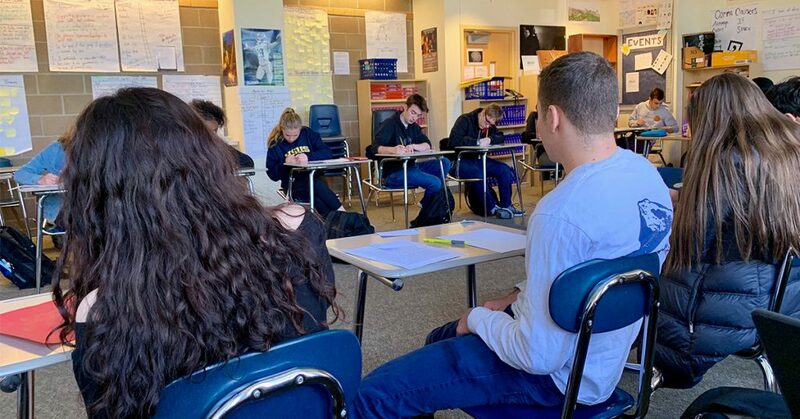 As part of the lesson, Ready WA members divided into small groups and reviewed a variety of primary source documents, including a 1973 Washington State Human Rights Commission Memo, the 2010 Respectful Language Act, Washington’s Sterilization Laws of 1909 and 1921, and others. The group then shared out their learnings. Coalition members also watched two student voice videos that illuminate some of the experiences of students with disabilities. Watch Angelina’s video below and Warren’s video here. Middle school student with disability Angelina Gammons-Reese, a 7th grader at Meridian Parent Partnership Program, describes in her own voice the challenges she faces and her desire to be included. Overall, coalition members said the lesson provided them with important new information and resources to share. The lessons are designed for middle school students but can be adapted to fit other grade levels. They can be delivered during Disability History Month or any time schools or classrooms choose. For more information, visit OEO’s website and follow them on Twitter and Facebook. Many thanks to Carrie Basas, the OEO director, for presenting at our coalition meeting!